Below you will find a unique photograph made from two 8×10 negatives of the building that housed the Detroit Publishing Company, the reason we have these amazing photographs of Detroit and other cities throughout the country. DPC was at one time one of the largest producers of color postcards in the world. It would have been a treat to be able to tour such an institution in its heyday. Detroit circa 1906. “Detroit Publishing Co., northwest view.” Note the greenhouse-style glass to the right employing sunlight for printing and perhaps enlargement, as well as the unusual windows to the left. In the early years of the 20th century, the company was one of the world’s biggest producers of color postcards. Panorama made from two 8×10 inch glass negatives. 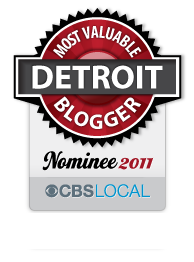 This entry was posted in Detroit, Shorpy Saturday and tagged detroit, detroit publishing company, shorpy, store, woodward. Bookmark the permalink.